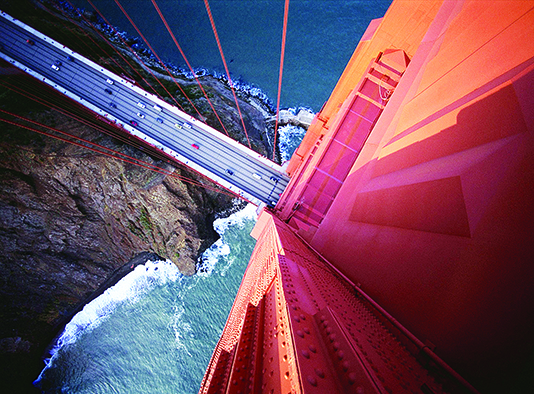 The Golden Gate Bridge is the most photographed in the world but it’s also a top suicide destination. The Golden Gate Bridge in San Francisco is the most beautiful in the world but, like the Foyle Bridge in Derry, it has a dark side too. A documentary centred on the Golden Gate Bridge made for fascinating if disturbing viewing last week. The bridge is stunning to look at but tinged with an eerie sadness. More people have chosen to end their lives there than anywhere else on the planet. Spanning almost two miles, the iconic structure, which traverses a body of water where San Francisco Bay meets the Pacific Ocean, has held the dubious distinction of being the world’s favourite suicide spot for many decades with more than 1,500 known deaths and counting. The suspension bridge, which first opened in 1937, claims, on average, one victim every two weeks. Youtube is awash with videos, hundreds of them to Coldplay and Radiohead soundtracks, of Golden Gate jumpers. Most are of young men, literally stepping to their deaths. That shocking figure is helped in no small part by the fact that it is one of the easiest to leap off; with barriers of just four and a half feet between those on deck above and oblivion in San Francisco Bay, some 250 feet below. On a recent Sky Arts show, Artland presenter Toby Amies asserts that the bridge has long since transcended engineering, architecture, function. He says it is art. And it’s hard to argue, despite the suicide tag. Aside from being the most jumped off, the Golden Gate is also the most photographed bridge in the world, attracting tourist snappers almost every hour of every day. Only London’s Tower Bridge comes close. To read more of ‘Barrtalk’ click here.